Obama, Osama, humm, are they brothers? It's simply to cause people to realize and to see what possibly could happen if we were to get someone in there that does not believe in Jesus Christ. That is a political message! He is saying people should be careful about voting for Obama because he might be Muslim (which he is not). 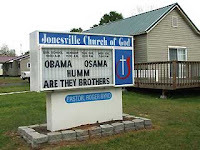 The pastor added that he did not know if Obama was a Muslim or not so that is why the sign was asking that question. At first he claimed he would not take down the message, but it is now gone and church officials with his denomination issued a statement criticizing it. Hopefully, he learned an important lesson from this incident. In my book (For God's Sake, Shut Up! 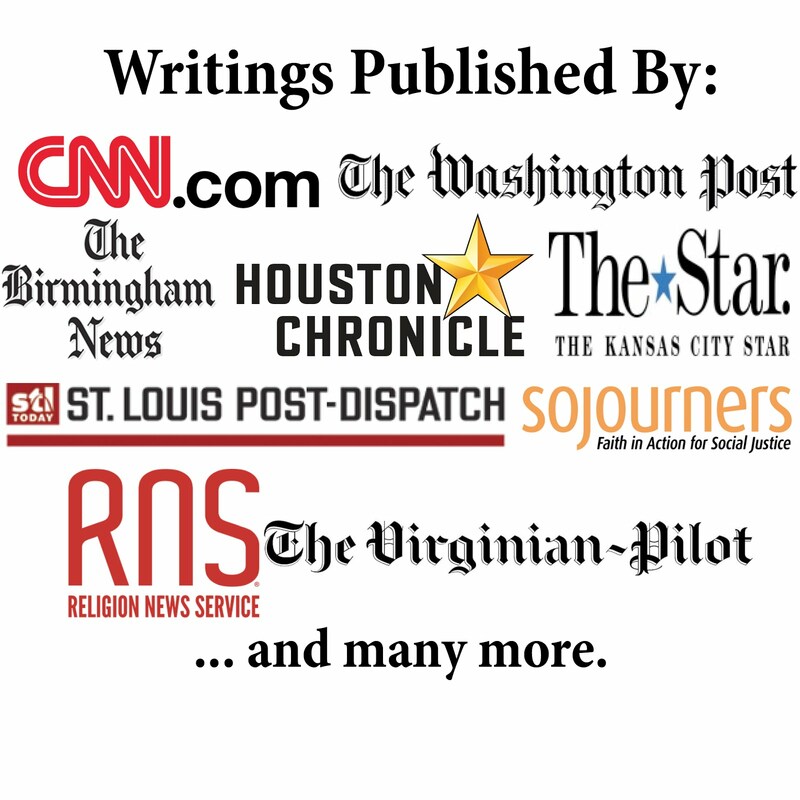 ), I critiqued a pastor in North Carolina for posting a sign saying the Qur'an should be flushed down the toilet. That sign also caused a lot of controversy and made Christians look hateful. In these two cases it would have been better if they had just put up the worship times or the message "God loves you!" (can you really top that?). In my critique of the earlier sign, I noted the song by comedian Bill Engvall where he wishes that dumb people had to wear a sign warning the rest of us about them. He then mentions someone doing something dumb and says, "Here's your sign!" Unfortunately, it seems that some Christians are working hard to put up such a sign. What we need instead are more thoughtful and loving attempts to communicate the good news. The only response I've got is a scream of frustration. That is a good response. Thanks for the comment!